Here are few ideas to avoid the problem of dry scalp. You need to take special care of your health during winter season. Dry scalp is the common problem during these days which can lead to eczema, psoriasis or superimposed fungal infection. Experts have suggested that people should apply coconut oil and avoid using chemical treatments in order to save the scalp from dryness. * Apply coconut oil on scalp for half an hour before hair wash, then shampoo with mild, sulfate-free shampoo. Avoid over cleansing the scalp as this will worsen the dryness. 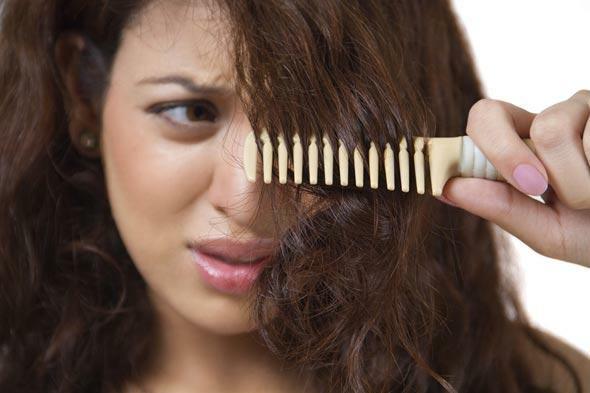 * Avoid chemical treatments such as smoothening or colouring as these may worsen scalp dryness. If there is itching and excessive scaling, anti-dandruff shampoo will help. This will also prevent hair fall. * Diet is an important part in managing dry scalp and hair fall. Have a diet rich in omega 3 such as almonds, walnuts, flaxseeds, sunflower seeds, protein-rich food such as eggs, lean meat, fish, cottage cheese, tofu, pulses, iron-rich foods like green leafy vegetables, fruits, lentils and more. Dairy products can make hair shiny and bouncy which can boost up your confidence. Milk is the powerhouse of good nutrients like protein, calcium and vitamins, which is essential to nourish the medulla the innermost layer of hair which provides light. A well-balanced diet which has rich source of selenium and zinc nuts like almonds, macadamia and argon seeds and selenium boosts hair growth and reduces dandruff and can also destroy fungus from the scalp. * Water is the most essential component of nutrition. It is required for proper blood circulation, which enables the nutrients to reach from the scalp to the hair follicles and make them healthy. Without adequate water scalp become dry, itchy which lead to brittle hair.